Every now and then, an actor that usually makes good choices will pick a less-than-brilliant movie role that, nevertheless, pays handsomely. 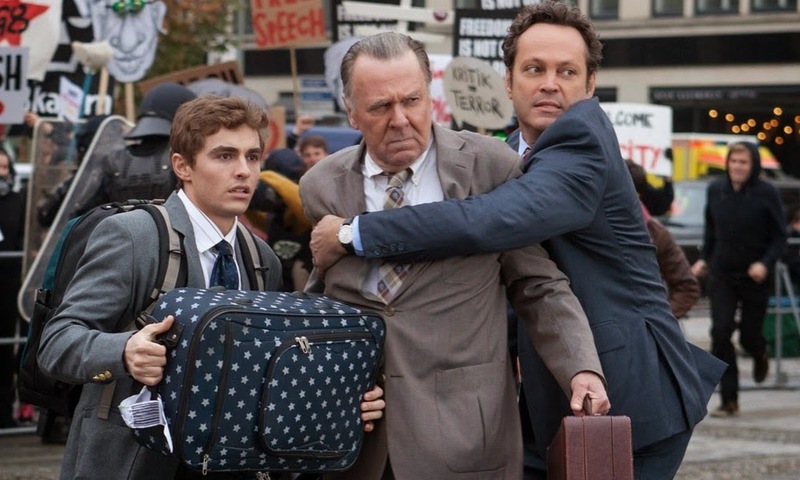 Unfinished Business seems to be what happens when you get a whole ensemble cast of players who seemingly have no possible incentive to be here other than the money. Dan, Timothy, and Mike are the sole employees of a start-up that's relying on a make-or-break deal with a European client. In a bid to close the deal, the three of them to set off for a business trip to Germany. When they run into Dan's former boss Chuck, they realise that their company may be the 'fluffer' company, brought in as a bargaining chip so that the clients can sweeten their deal with the market leader. Desperate to win the contract so that their business can stay afloat, the trio go all out to try and win the deal back from Chuck.